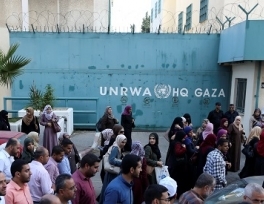 The one-day strike closed more than 250 UNRWA schools in Gaza, as well as medical centers and food aid distribution points. The United States has traditionally been UNRWA’s largest funder, providing around $350 million (300 million euros) a year. But President Donald Trump has cut all support, sparking a funding crisis. The refugee agency’s labor union is demanding the job cuts be reversed and its leaders say the strike could be the first of a number of measures. A small protest took place outside the agency’s Gaza headquarters. 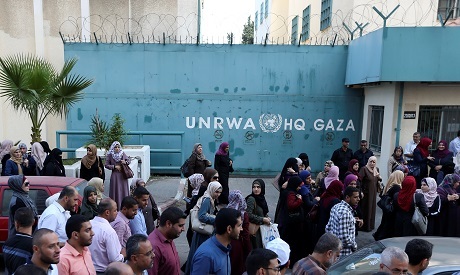 “The strike comes in light of the (UNRWA) administration’s lack of responsiveness to the demands of the employees’ union and their insistence on not solving their problems,” Amal Al-Batsh, deputy head of the union, said in a statement. UNRWA says the funding deficit caused by the Trump administration’s withdrawal of support is so severe cuts are unavoidable.